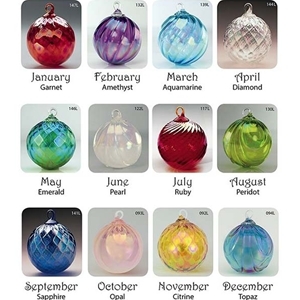 Hand crafted glass blown ornaments in colors and styles to match the birthstones of each month of the year. Approximately 3" in diameter. Handmade item may vary slightly from the photo.